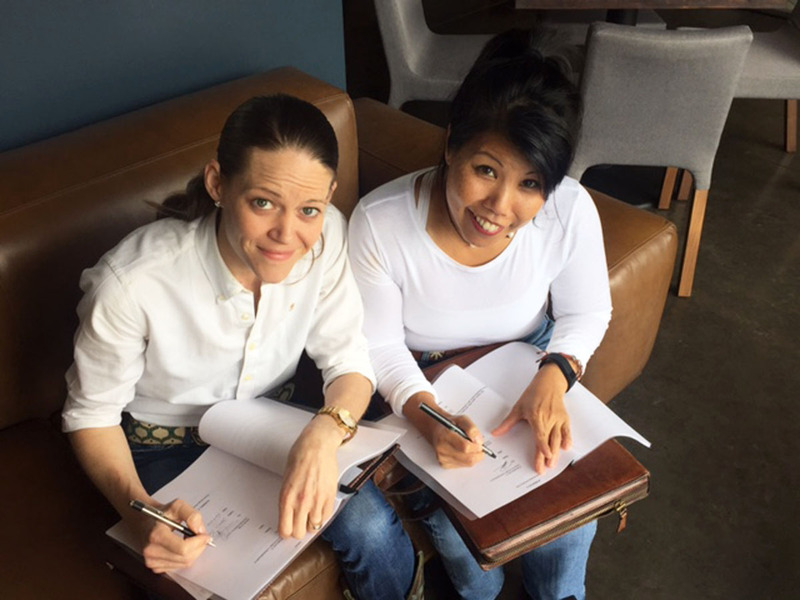 (From left) Executive Chef Jamie Zelko and Evelyn's Park Board President Patricia King-Ritter sign the agreement for Evelyn Park's new cafe. 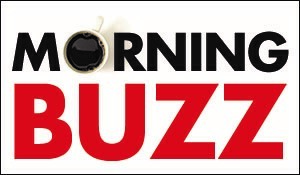 The Evelyn’s Park Conservancy Board announced today that they’ve selected a café operator for the park’s new café – Jamie Zelko, of Zelko Bistro, and partner Dalia Zelko. Jamie was featured on season 2 of Food Network’s “Meat and Potatoes” show. The board said that Zelko Concepts and their farm-to-table approach matches the park’s core values of family, community and nature. For example, Jamie maintains herb gardens for Zelko Bistro and plans to do so at Evelyn’s Park as well, incorporating fresh herbs into her healthy cooking. 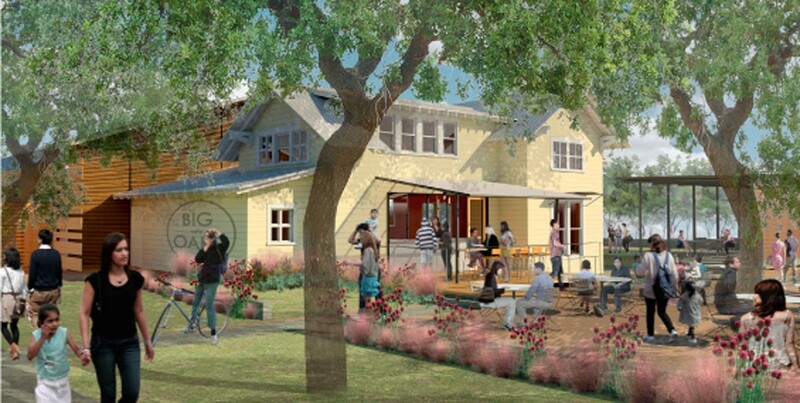 An architect's rendering of the "Little Yellow House" from Teas Nursery, the currently-unnamed café for Evelyn's Park. See more news and updates from Evelyn’s Park, including an Alice in Wonderland-style picnic table and the park’s partnership with Trees for Houston.